Small (10cm x 73cm) clay smudge bowl. Hold the smudge stick in one hand and your bowl in the other beneath it. Any dropping embers will fall in the bowl. 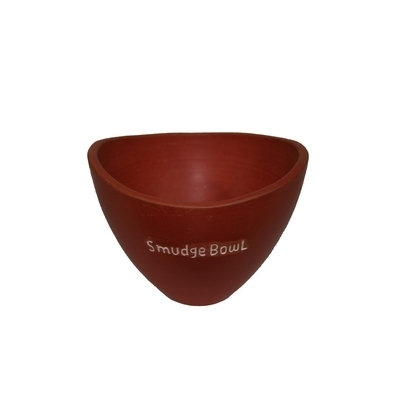 The bowl is also useful to put out the smudge and to store it when not in use.